Thus, it should come as no surprise to discover that we follow Wall Street religiously for sage expat counsel. 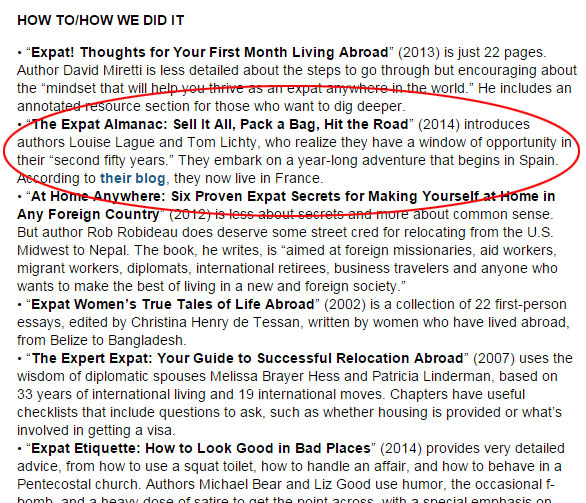 But it did come as a surprise when we found ourselves listed in The Wall Street Journal’s “Guide to Essential Books on the Expat Life” in their May 21st Expat blog (link here). We’re flattered. We’re humbled. One of us is blushing. Thank you, WSJ, for the inclusion. 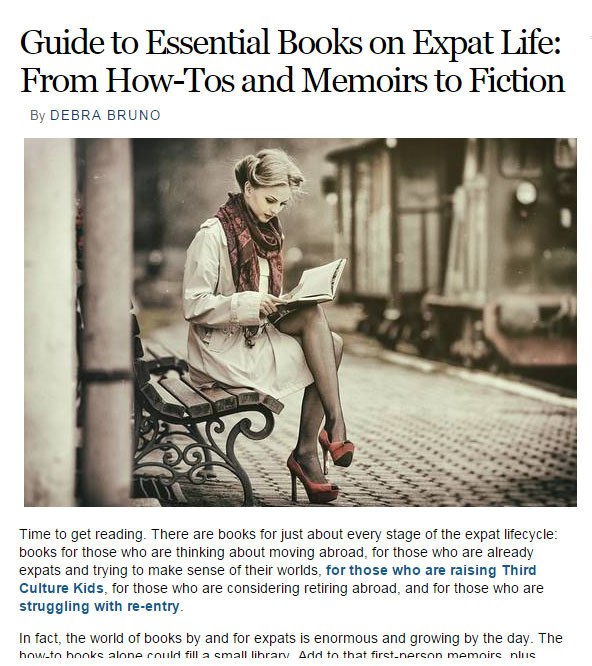 As for those who have yet to include a book from the WSJ’s prestigious “Guide to Essential Books on the Expat Life” in your library, it’s as easy as One Click. Go ahead. Buy two. Your hedge-fund manager could use a copy too. Thanks, Anita! The royalties should start rolling in any day now. Thanks, Katharine. Can’t wait for you to visit! Well done….. now I have imaginary friends that are semi famous. Congratulations on the recognition. Thanks, Terri. And here’s hoping that your move is going better than ours. We’re still unpacking boxes, but now our chores are just a little bit easier to tackle. My God, how the money rolls in!! You will soon be ex-pats in Singapore, eating laksa bought from the hawkers and forgoing Margaritas or Cava for Raffles Singapore Slings. Whadaya think, Bob? Shall we put it in gold or blue chips? We’re thinking gold — if there’s enough of it. Is that like Tweedle-Dee and Tweedle-Dum? Seems to suit us. Thanks, O! Congratulations! After reading “Home Sweet Anywhere” I told my husband that your book should be recognized by the WSJ. Now it should get the attention it deserves. Thanks, Maureen. We’re flattered to be compared to Lynne Martin’s “Home Sweet Anywhere” (or mistaken for it). If anyone wants to read another book on the subject of sell it all, pack a bag, and hit the road, Lynne’s is a good choice. It’s available at Amazon .